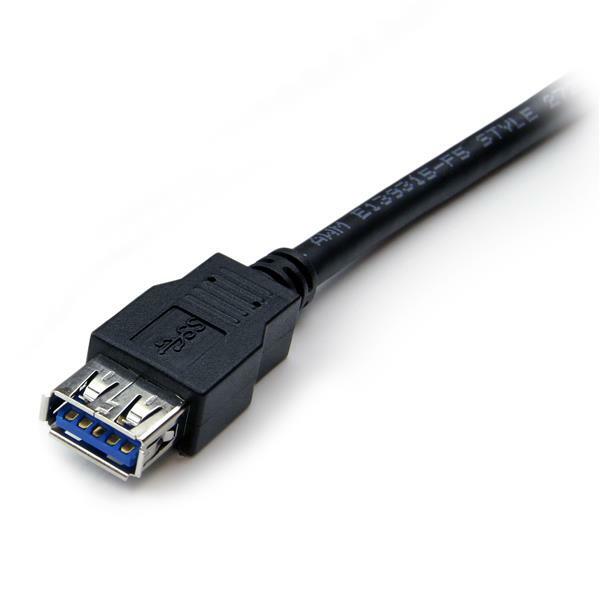 The USB3SEXT6BK SuperSpeed USB 3.0 extension cord (A-A), offers a durable, high quality connection that harnesses the full capability of the USB 3.0 standard. 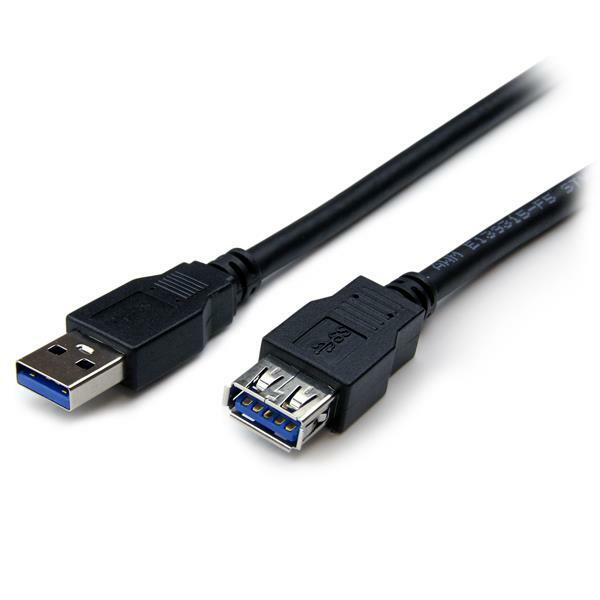 Designed for next-generation SuperSpeed USB device connections, this USB 3.0 male to female cable extends a USB 3.0 cable connection by 6-feet, and delivers a throughput of up to 5Gbps when used with a USB 3.0 host and device - an astounding 10x the capability of USB 2.0 (480Mbps). Our USB 3.0 extension cables features high quality Shielded Twisted Pair (STP) construction, helping to prevent electromagnetic interference and ensuring reliable data communication. The USB3SEXT6BK is backed by our Lifetime Warranty, providing guaranteed quality and reliability.